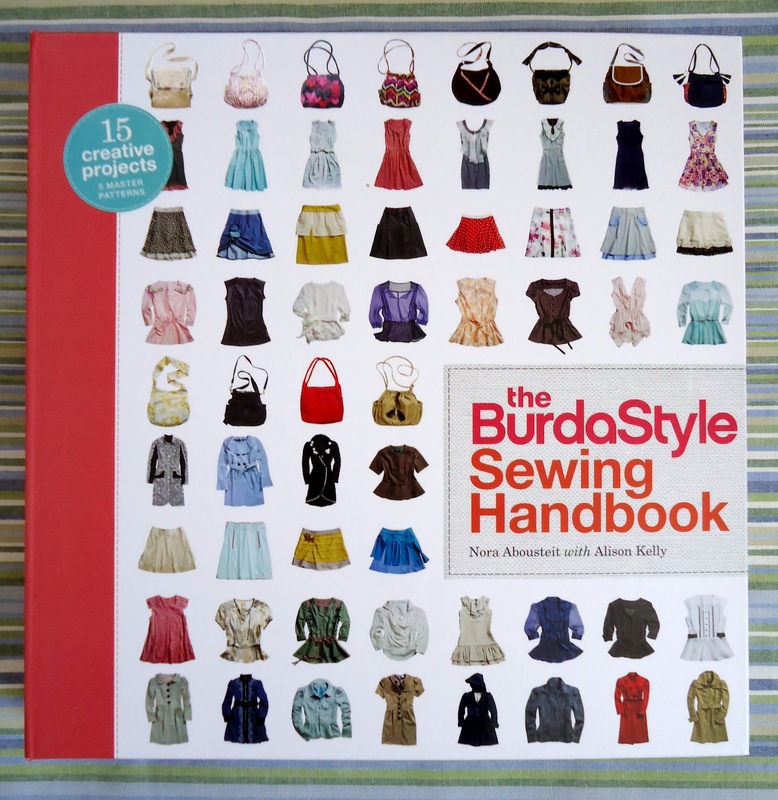 I was happy to find my copy of The BurdaStyle Sewing Handbook on the porch on Wednesday. I had been thinking of purchasing a copy ever since I read about it earlier in the year. It’s a newly published book, written by Nora Abousteit with Alison Kelly, full of tons of sewing information and great ideas. bag. 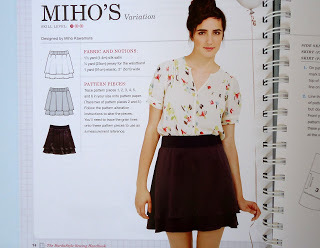 Each project has a finished picture and step-by step instructions to sew the look. Talk about gorgeous pictures! In addition to that, two variations to the patterns with instructions and pictures are included. At the very end of each section, 13-14 more variations are provided with pictures, but not instructions. 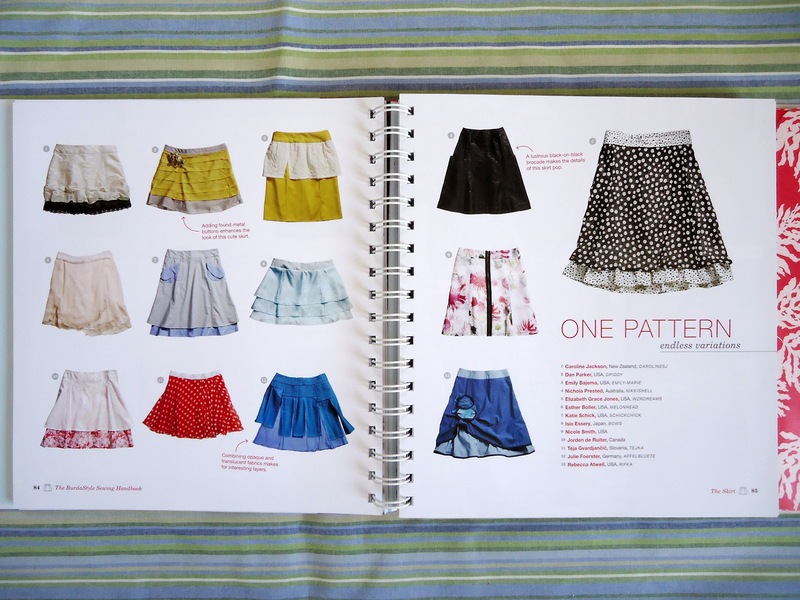 In addition to the patterns, the first part of the book goes over the basics of sewing clothing. 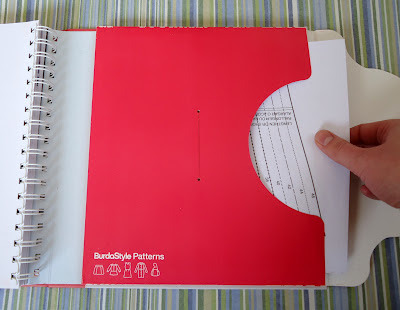 There are sections on how to set up your sewing space, supplies you’ll need, how to use a pattern, how to cut out your fabric, and different sewing techniques. The information contained in these sections is very appropriate for beginning sewers. 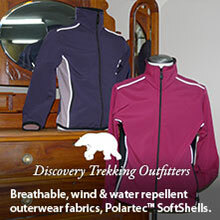 I think that everyone attempting to sew clothing should first understand the basics. That being said, I would caution beginning clothing sewers using this book. 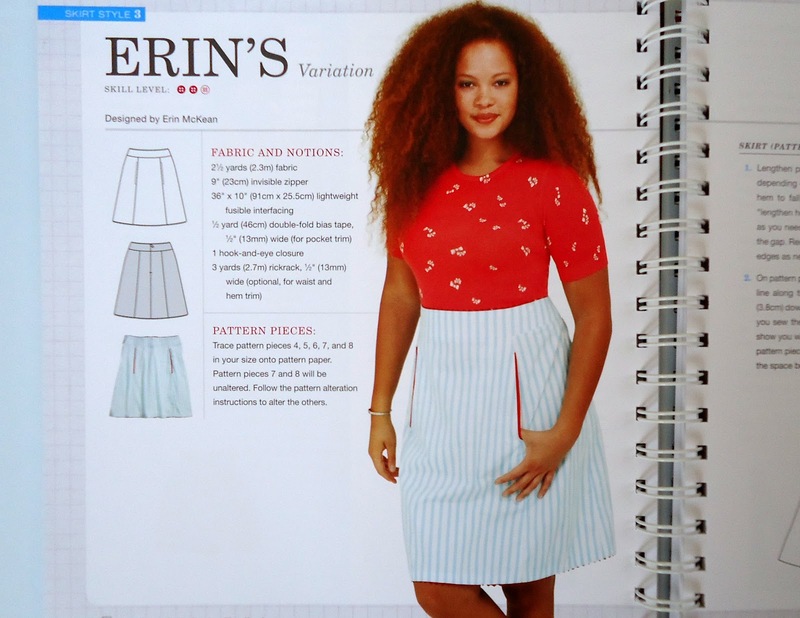 First, because Burda patterns do not include seam allowances. Second, because there aren’t as many pictures in the instructions as one would expect to find in a Simplicity or McCall’s pattern. As a more seasoned sewer, I love this book for helping me to see beyond the pattern. I love all of the variations included. Even though a lot of the variations don’t come with patterns, I feel confident that I could use my knowledge of pattern drafting to tweak the pattern to get the right look. Sometimes I have the perfect pattern in mind but am at a loss when it comes to choosing fabrics and coordinating notions. This book has already given me tons of inspiration for future projects. 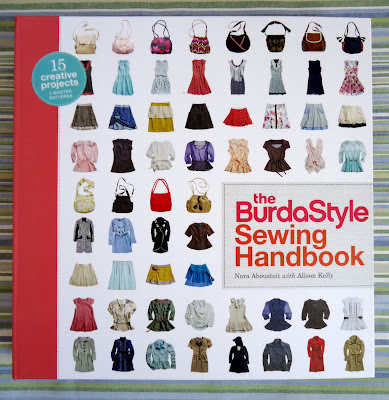 On burdastyle.com, readers of this book have expressed a desire to have access to the patterns used to make the additional designs. The writers want to make them available, but I guess we will have to wait and see what happens! Overall, I’d give this book a 5/5 for intermediate sewers. 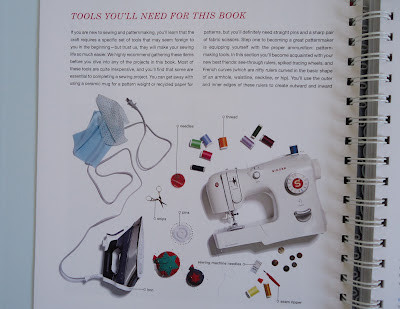 It is my new go-to sewing book for inspiration and ideas. I hope you’ll give it a try! This looks like a great book!! I'm going to go check it out. I passed an award on to your blog today!! I hope you enjoy it!! Thanks for sharing a review of this book. And thanks for linking to Time Travel Thursday. Hope to see you this week, as well.